• The universe is expanding 5 to 9 percent faster than expected, according to a June announcement from NASA and the European Space Agency. This is hypothesized to be from the increase in dark energy since The Donald began his campaign. • President Obama is popular. • There was an uptick in sales tax revenue in San Jose, California, from purchases of eggs, Mexican flags, matches and police tactical gear. • The FBI has opened an investigation into a series of secret payments from the Clinton Foundation to The Donald, dating back to a phone call in which Bill Clinton encouraged Trump to run for president. • Unemployment is down in the Chinese city of Guangzhou, due to heavy demand for American flag pins, “Make America Great Again” hats and “Made in the USA” labels. • In follow-up to Trump’s assertion in Redding, California, on June 3 that “I have an African-American,” his campaign also has released a list of the three persons of Hispanic heritage who might vote for him. • The economy in Cleveland is experiencing a temporary surge as hotels collect a bounty in cancellation fees from GOP convention delegates. • Wyeth, Ltd. stock has skyrocketed from Ativan sales to the offices of Republican National Committee Chair Reince Priebus and House Speaker Paul Ryan. • Alliant Techsystems saw a 4 percent increase in first-quarter profits on the heels of a $40 million order for land mines from the Canadian Department of National Defence. 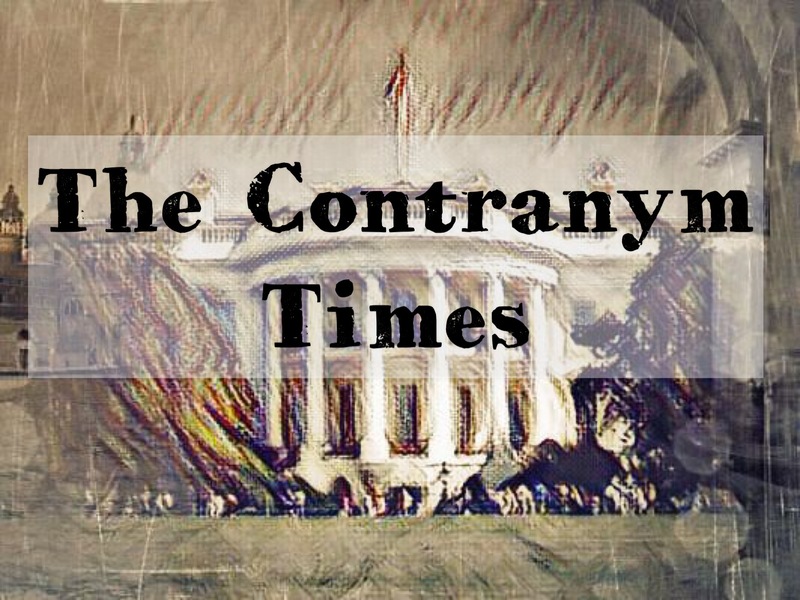 • Dictators world-wide are expressing relief that the Anonymous hackers collective has shifted its focus from them to obtaining The Donald’s tax returns. • Ken Starr’s car is sporting a “Love the Clintons” bumper sticker. • Hillary Clinton has petitioned a court to change her name to “NOT DONALD TRUMP” in advance of November election ballots being issued. • PredictIt.org shares on the question, “Will the U.S. make it to its 250th birthday?” are trading at an even 50 cents. • Jones revealed plans to buy “luvthegov.com” in the event of a Trump victory, adding to his collection of existing domains (infowars.com, sellingparanoia.org and falseprophet.edu). • The CIA has leaked/denied that Trump requested an advance security clearance review for a “John Barron” to serve as the agency’s next director. • The Chronicle of Higher Education reports an 80 percent decrease in students wanting to major in journalism. Financial Interest Disclosure: I have bet Waco resident David McLatcher $10 that Trump will lose the election and several times unsuccessfully attempted to get him to double the amount at stake. This column originally appeared in the June 7, 2016 Waco Tribune-Herald, where David is a member of the Board of Contributors.